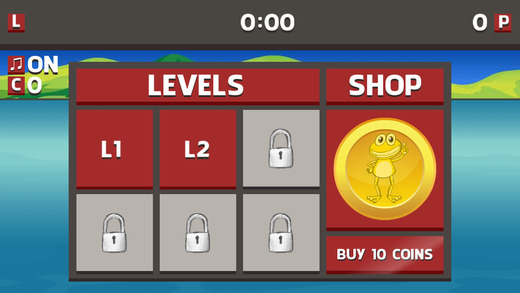 SkippyFrog is a fun and addicting free game. It was developed by FriendPeeker and is available on the iPhone, iPad, and iPod touch. This game is demonic. Not in the sense that it has pentagrams or satanic music playing in the background. This game is demonic in the same sense that Flappy Bird was. 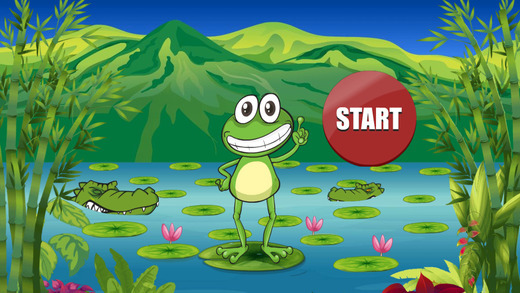 Playing SkippyFrog is a real test of your sanity. Itâ? ?s frustrating no doubt, but itâ? ?s also real fun and satisfying to advance in this game. It is debatably one of the most satisfying games Iâ? ?ve played so far this year. The home screen is simple, just a frog and a start button. When you begin playing the game youâ? ?re told that you need to jump on the lily pad with a key in the first level, in order to unlock the next one. It seems simple enough. That is until you are two seconds into the game. Levels consist of three columns of lily pads moving from the left to the right. To keep advancing and not failing the level, you have to keep tapping the next available lily. This is easy for a couple of seconds before realizing that using your left hand to tap the lilies is next to impossible. If youâ? ?re like me youâ? ?ll try flipping the phone and using your right hand. Seems like the developer though this through, because that trick is to no avail! Itâ? ?s debatably even harder to play with your right hand. From the videos Iâ? ?ve seen online it takes about 36 seconds to get to collect the key found in the first level, and then a couple of more seconds to end the level. When I said itâ? ?s satisfying to advance in SkippyFrog I donâ? ?t mean to imply that Iâ? ?ve ever been able to complete the first level. I havenâ? ?tâ?¦ What I mean is that advancing your score from 4 seconds to 6, then 10, then eventually 20 takes effort. By my twenty-fifth try I had made it to 25 seconds and was really satisfied, even though I had actually made no real progress in the game. If youâ? ?ve played Flappy Bird or Super Hexagon in the past, then youâ? 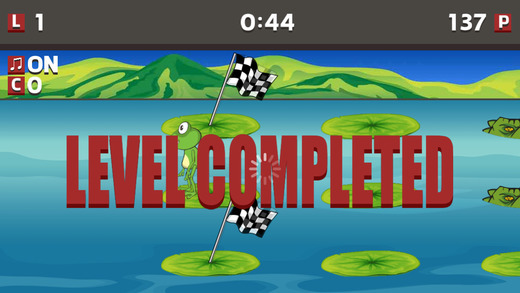 ?ll know how satisfied it can feel to advance a few extra seconds in a level that you canâ? ?t even beat. Thatâ? ?s exactly how this game feels. This game is really addicting and fun. That about wraps up everything thatâ? ?s great about this game. As well as the fact that the control mechanism and sliding lilies from the left is really creative. I havenâ? ?t seen a game like this before and Iâ? ?m glad the developer was smart enough to put something like this together. Obviously itâ? ?s bad that the levels are so hard. However, just like it was bad that Flappy Bird was so hard, thatâ? ?s exactly what makes games fun. In reality thereâ? ?s no glitches or shortcomings in this game. That wonâ? ?t stop you from hating it at some point or another when you miss a lily and land in an alligatorâ? ?s mouth only seconds away from finishing the first level for your 50th try. If you like games like Pivvot, Super Hexagon, Duet, or Flappy Bird then youâ? ?re going to love SkippyFrog. Give it a try because you wonâ? ?t regret playing a game thatâ? ?s so darn satisfying to play.